Anne is a native of Colorado and a graduate of the University of Colorado. She moved to the Bay Area in 1981 to pursue a career in international business after having studied abroad during college. She has been in the international transportation and logistics industry for over 30 years and is currently working for a transportation consulting company called Moffatt & Nichol as Principal Advisor. Her project work involves market and economic feasibility analysis, strategic and business planning as well as logistics and operational investigation. She currently plays a lead role in Moffatt & Nichol’s development and provision of specialized logistics related analysis. Her previous experience in the transportation and logistics industry for Hapag-Lloyd, APL, UPS Supply Chain Solutions and DHL Logistics included working extensively with retail and consumer goods importers; exporters of agricultural cargo, forest products and refrigerated perishable products; solving transportation and supply chain cost issues throughout North America. Anne has been a member of Women in Logistics since it was founded in the early 1980’s and looks forward to continuing her participation in WIL. Katie received her Bachelor of Science degree in Business Logistics from Smeal College of Business, The Pennsylvania State University, University Park, PA and has over 20 years experience in Supply Chain Operations. She has worked for Toys ‘R’ Us at their corporate office in Paramus New Jersey in their Operations Department, as Supply Chain Analyst at Cooking.com in Santa Monica, CA, and as Operations Manager at Robinson Salter in Marin County, CA. She is currently the Director of Operations at Down Etc. out of San Francisco, CA which a manufacture/importer of bedding products selling mostly to the hospitality industry. She loves the organization of the supply chain as well as customer service. Maggie is the Operations Manager at SeaMates International Inc. Maggie has over 25 years of experience in the maritime industry covering a broad range of business functions. Maggie joined SeaMates International, Inc in late 2014 opening a West Coast branch office for a worldwide logistics network provider based out of New Jersey. Her primary focus of responsibility centers on global business development efforts within the Bay Area along with expanding business relationships with importers, exporters, and third-party logistics providers. 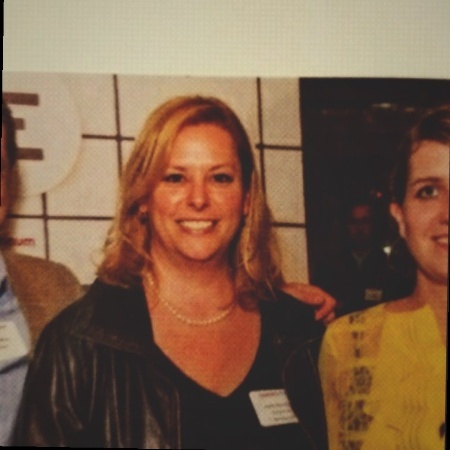 Prior to joining SeaMates International, Maggie worked for OOCL (USA) Inc. and AT&T in various business development roles. She holds a bachelor’s from University of San Francisco as well as an MBA in Project Management from Keller Graduate School of Management. Susan has shuttled back and forth between academia and industry for the past 15 years. She has worked as a consultant for Aspen Technologies implementing supply chain solutions in manufacturing and distribution and as a project manager specializing in replenishment systems for Evant. She is currently a Professor in the Department of Decision Sciences at the SFSU College of Business, where she teaches Operations Management and Supply Chain Management. Even when she is not in the classroom or at her computer, logistics pervades her life as she enjoys recreational travel and exploring the great outdoors. Susan earned her BSE in Electrical Engineering at Princeton University and her Ph.D. in Operations Research at Stanford University. She advocates closer ties between industry and academia and has been managing the scholarship competition for over a decade.